Young stallion 2016 by Grey Flanell/Jazzman/Don Primero appr. 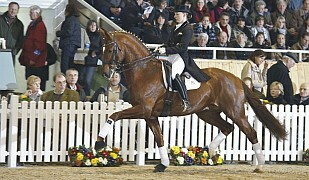 171 cm in the moment with with very spectacular and big movement and despite his size and young age very much elegance. 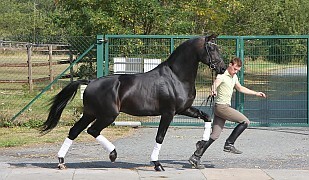 The stallion is very nice and lovely in all things. No stallion manner and absolut clear in the head. 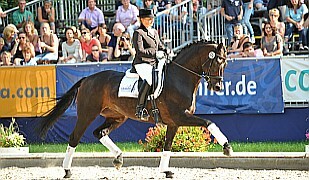 A great juwel for the big dressage arena !! In the moment still unbroken and standing in open stable in gelding group. Video was the first time free running in a halle. 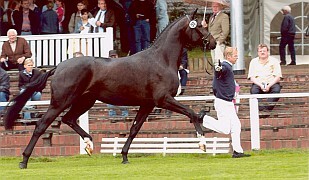 The damline is the out of very success hannoveraner breeding farm :Hänigsen, which among other things the stallions of Cervantes, Frappant, Weltbekannt emerge (United States) and Livijno (R. Zeilinger) comes out. 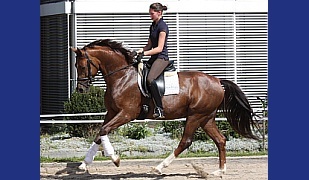 Sister is state premium/elitemare and was standing in the "Brilliantring" in Rasteede under the best mares in Oldenburg and was in the finale of the german horse championship. 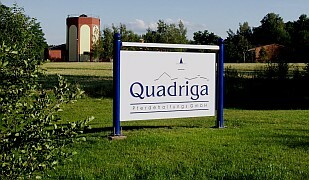 Later winner in young horse S-Dressage. In 2018 she has won by the young rider EM in France the bronze medal with the danish team. Has in the moment only one one testicle outside.